With some of the world’s best theme parks and splash-ready waterparks, Florida’s a no brainer when it comes to family fun. But, with tonnes of hotels to choose from, it can be hard to pick where to stay. To make life easy, we’ve done the hard work for you. Here are five of our fave All Inclusive hotels in Florida. The best bit? 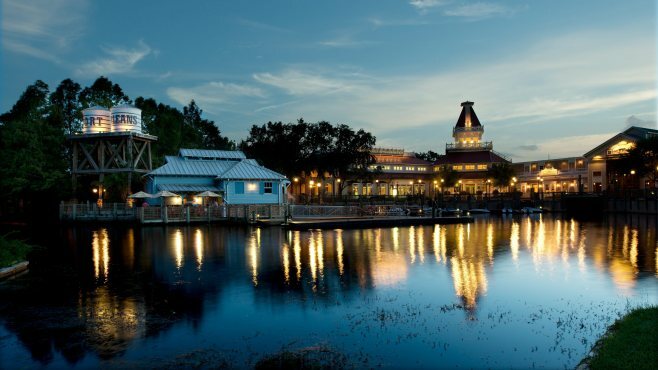 Stays at all of these hotels include the Disney Deluxe Dining Plan and entry to all six Disney Parks. 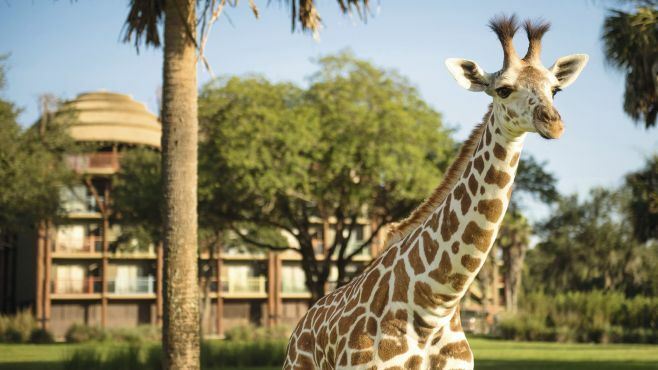 Put your safari hat on and keep your camera close by at Disney’s Animal Kingdom Lodge. This African-themed hotel’s in the middle of a massive wildlife reserve. Book a Savannah room, and you can gawp at giraffes and gazelles grazing right outside your window. Thanks to the Lion King-style playground and games arcade, keeping the kids entertained is hakuna matata, AKA no worries. Grown-ups, they’ve thought about you, as well – when you’re not relaxing by the big outdoor pool, you can book yourself in for a spa treatment, or two. Plus, with tickets to all six Disney Parks included, the whole family will get access to more rollercoasters and rapids than you can shake your binoculars at. Pack your lei and your palm-tree patterned shirt, ‘cause this hotel takes you to tropical Polynesia. We’re talking bamboo decor, tiki bars and a white-sand beach. 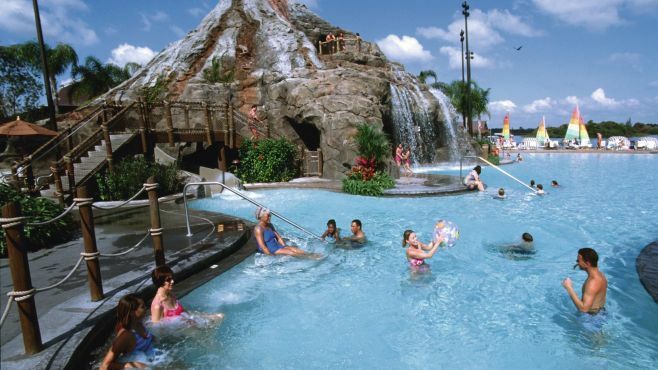 In between rollercoaster riding, you can kick back by the hotel’s big lagoon-like pool – complete with waterfalls and a volcano. Or, feast on platters of ribs while watching fire dancers and drummers at the Disney’s Spirit of Aloha Dinner Show. By night, cosy up at open-air movie screenings or toast marshmallows around the campfire. Ready for the rides? The monorail will whisk you to the Magic Kingdom Park and Epcot from just outside. In fact, they’re so close, you can clock the Magic Kingdom Park’s fireworks from the hotel’s beach. Pulling out all the stops on your Florida getaway? 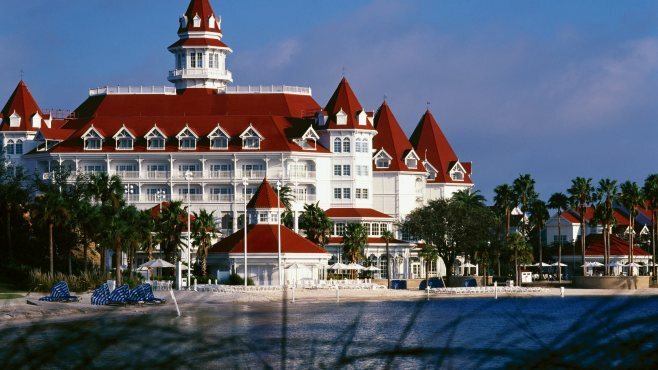 Disney’s Grand Floridian Resort & Spa looks more like a mansion than a family-friendly hotel. When you’re not getting your thrills at the theme parks, you can crank things down a notch with sunbathing on the hotel’s manmade beach, ooh-worthy spa treatments or boat trips. Slap-up meals are sorted, too, thanks to the six restaurants. Time to hit up the theme parks? Hop on the monorail – the stop’s right outside. Feel like you’re on a jungle adventure at Disney’s Coronado Springs Resort. The main pool sets the explorer scene with its vine-covered, Mayan-style temple and thrill-ready waterslides. Inside, a street food-style restaurant and a Mexican grill are your go-to for hearty American grub. Sizzling fajita skillets and shrimp tacos, anyone? 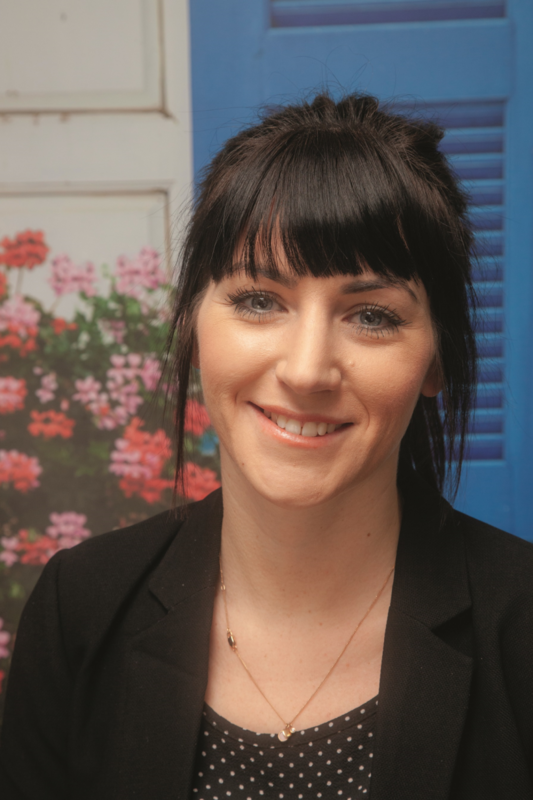 Grown-ups can work out in the gym or relax with a massage, while kids can tackle the outdoor playground that’s made to look like ancient ruins. This hotel’s just a short bus ride away from Disney’s Magic Kingdom Park, too, so getting about is a piece of cake. An old paddle mill, a water tower and charming cottages – you’ll feel like you’ve landed in America’s Deep South at this seriously quaint pad. The waterfront hotel flies the flag for Disney, but looks like it’s been plucked from Louisiana. With six pools, a 95-foot waterslide and a big dining hall, it doesn’t scrimp on facilities, either. Come evening, you can munch on comfort food, then cosy up in front of a good old-fashioned Disney flick. Park access? Free shuttles pootle down to the parks, and you can grab water taxis to Disney Springs for more wining and dining. When’s the best time to visit Walt Disney World Resort? Thanks to Florida’s year-round sunshine, the best time to visit Walt Disney World Resort is, well, pretty much any time. If you want to beat the crowds, though, cooler January and September are a safe bet. The summer months, on the other hand, dish out the most sunshine. Keep a look out for special events year round, too – they may sway your decision on when you want to book. Feeling inspired? Take a look at all of our All Inclusive family holidays to Florida. Plus, check out our Walt Disney World Resort holidays and find out what’s included in a Disney holiday.